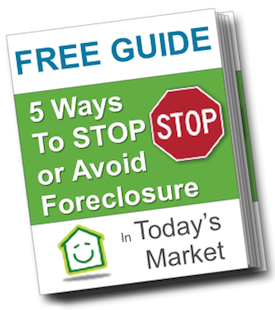 Facing foreclosure can be one of the most challenging issues you ever face. No one ever expects to run into mortgage trouble when they prepare to close on their new Hawaii house. Instead we imagine waking up to a beautiful Hawaii morning with the sun shining on our new lawn and into our beautiful dining room. But things change: the economy goes down, home prices drop, jobs disappear, income is lost, all without any warning. Even with some rebound, it’s not enough and you’re forced to stop paying your mortgage, risking a foreclosure. That’s something you never thought of when you bought the home not too long ago, right? You never saw this coming, never heard any warning signs — and you’re not alone. When this happens, do you panic? Get stressed? Worry about what else is just around the corner? Do you actually worry about being homeless? These thoughts are natural. Let me repeat: you are not alone if you’ve thought this way. But let me also tell you that Hawaii foreclosure help is here if you need it. If you stopped paying your mortgage or if you received a Notice of Default (NOD) from your lender, then the time to act is NOW. Why? Because your lender is getting ready to take you to foreclosure. One day soon you may get served official papers. The question is…. …..what sort of action do you take? Many people will tell you to do this or that — most of those people are not real estate or financial professionals. Think about that when deciding whose advice to take. The real answer is: it depends. It depends on your financial situation and your objective, namely…..
…..do you want to keep your house or sell your house? That’s why fighting foreclosure is not a one-size-fits-all strategy. You are you, not anyone else. But no matter your objective, Hawaii foreclosure help is here if you’re ready for it. We have many options that may be available to help you, including…. If you’ve realized that you can’t make good on your loan, then don’t give up. Let me say that again: DON’T GIVE UP.